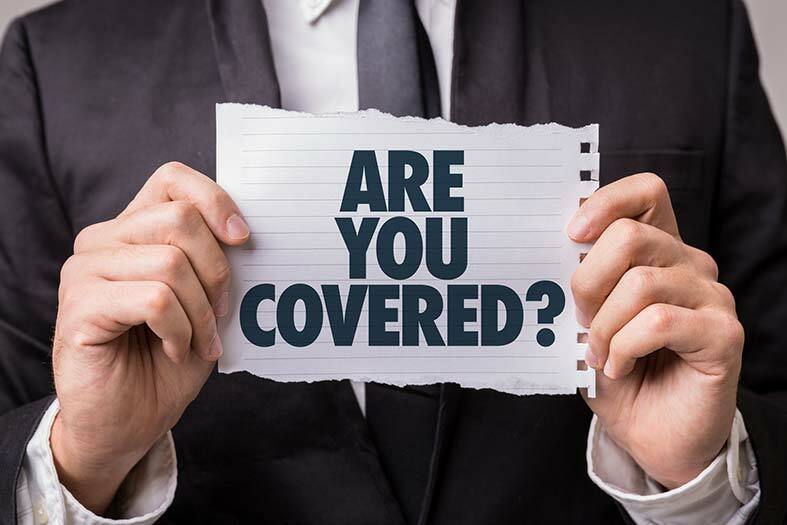 Let’s review the insurance basics and important reasons to invest in business insurance sooner rather than later, along with some specific types of insurance you’ll want to consider. The reality is, the future is unpredictable. Even with a well-thought-out business plan, you never know when your firm could be facing a lawsuit, natural disaster or other unforeseen peril. Just because an adverse event has a low probability doesn’t mean it can’t happen. There are many reasons why getting adequate insurance coverage early in the life of your new business is such a smart move. It protects your business. Insurance can protect you not only against the cost of replacing physical items like buildings or equipment, but also against the loss of income if your business must close for a period of time following a disaster. It protects your people. In any organization, your people are your most valuable asset. But what if someone gets injured on the job? Not only can adequate insurance protect your business from these types of hazards, but it can give you a competitive advantage in attracting the best talent to join your team. Many prospective employees prefer to work for employers that have good insurance coverage. It helps build customer relationships. Think of all the ads you’ve seen that tell you a service provider is “licensed, bonded and insured.” Especially in B2B and service industries, clients want to do business with companies that have the proper insurance. It establishes credibility and lets people know that you’re safe to work with. It’s often legally required. Many businesses are required by law to carry some types of insurance. For instance, in Missouri, if you have five or more employees (including part-time) or are a contracting business with one employee, you must provide workers’ compensation coverage. In addition, you never know when an injured employee or dissatisfied customer could sue. Even if you win the lawsuit, attorney fees alone could significantly impact your bottom line. Finally, some clients may require you to have proper insurance before signing a contract with you. General liability insurance. This protects you from the cost of lawsuits involving bodily injury and property damage. Policies may cover lawsuits stemming from a range of incidents, including bodily injury, property damage, medical expenses, libel, slander, the cost of defending lawsuits and judgments required during appeal. Some clients may require proof of liability insurance as a condition for doing business with you. Product liability insurance. What if someone suffers an injury or illness in connection with using your products? If you sell physical goods, product insurance covers injuries caused by defective products. This coverage is many times within the General Liability policy. Commercial property insurance. You need this whether you own commercial real-estate or run a simple home-based business. Did you know that your homeowners insurance may not cover home-based business losses? Commercial property insurance covers assets, equipment, fixtures, furniture and inventory inside the building. Professional liability insurance. Also called errors and omissions insurance, or malpractice insurance for the medical field, this is often required for service-based businesses or healthcare providers. Professional liability coverage protects you against lawsuits stemming from errors, omissions and negligence that take place in the course of providing service to your clients or patients. Workers’ compensation insurance. In Missouri, if you have five or more employees (including part-time) or are a contracting business with one employee, this is required. Even seemingly low-risk work could involve a slip-and-fall accident, carpal tunnel or other hazards. Workers’ compensation provides coverage in case a worker is killed or injured as a result of his or her work. It covers medical treatments, disability or death benefits. Commercial vehicle insurance. You may use delivery vehicles or provide automobiles for your sales team. Commercial auto insurance offers protections against liability if one of your company vehicles is involved in a crash.You should also consider Hired and Non-Owned Auto coverage if you or your employees will use personal or rented vehicles in your business. Business income insurance (Business interruption). What happens if you are forced to close your doors temporarily while recovering from a fire, tornado or other disaster? Your business will likely suffer a loss of income if you are unable to serve your customers during this time. Business income insurance can compensate you for lost income until you’re up and running again. Business owner’s policy. Also called a BOP policy, you can often bundle all of the different types of insurance your business needs into a single, unified policy tailored to fit your exact requirements. Your BOP policy may include things like liability, crime insurance, business interruption, or other coverages depending on the legal requirements of your state, your industry, or hazard exposure. What types of insurance coverage do you need for your new business? If you’re not sure, get in touch with us at Pillar Insurance. We’ll go over your business plan and your goals and help you select the right insurance options to protect against the unique risks facing your organization.